​The Flying Ace Race is underway! But one evil pilot is about to throw a monkey wrench into your plans. 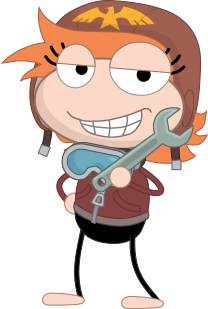 To beat the Red Baroness and win the race, you'll need to build the fastest yellow blimp in Poptropica! Get ready to take flight in a compact adventure made especially for first-time players! 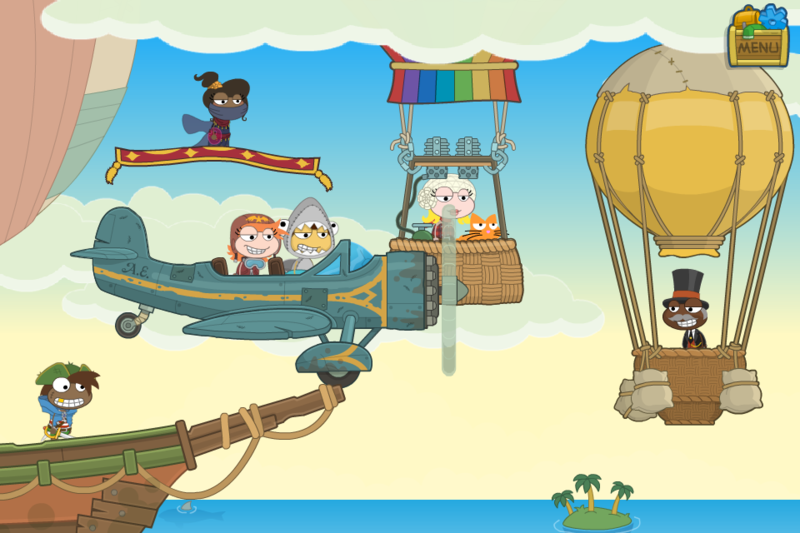 This is the first Poptropica Island made especially for beginning players. It's intended as a tutorial to Poptropica. It's the day you've been waiting for -- you're competing in the prestigious Flying Ace Race, alongside none other than Amelia Earhart! But just as it looks like you're blasting ahead of the crowd of illustrious and diverse flyers, out of nowhere comes -- the Red Baroness! She (literally) throws a monkey wrench into your plans and the next thing you know, you've crash-landed on a strange island and your partner is nowhere to be seen. Oh, and you may or may not be hallucinating a monkey who is beckoning you deeper into the forest. Since this is a tutorial island, Poptropica will explain to you the basics of moving around. There's nothing to do in this scene for now, so go all the way to the right and click the sign with the arrow on it to go to the next room. There's Amelia! The monkey is guiding you to her plane. Follow the monkey by walking right, climbing up the rope (jump to it and then press and hold above you), then walking left, and jumping over the gap in between. When you reach the plane, jump up and down on it. The vines trapping the plane will get weaker and weaker, until... snap! Down comes the plane, and Amelia is free at last. Next step: fixing the plane so we can rejoin the Flying Ace Race. Follow the monkey back to the left. The monkey will help you out by keeping one of the stone platforms weighed down. Now the crab, who is holding the wrench you need, cannot hide in there. Go left, past the monkey, and stand on the left end of the other stone platform. The crab is forced out in the open, where it'll drop the wrench in panic and run off. Hooray! Go in the middle and pick up the wrench, then follow the monkey back to the right.